Distressed red oak dry bar with brass foot rail. 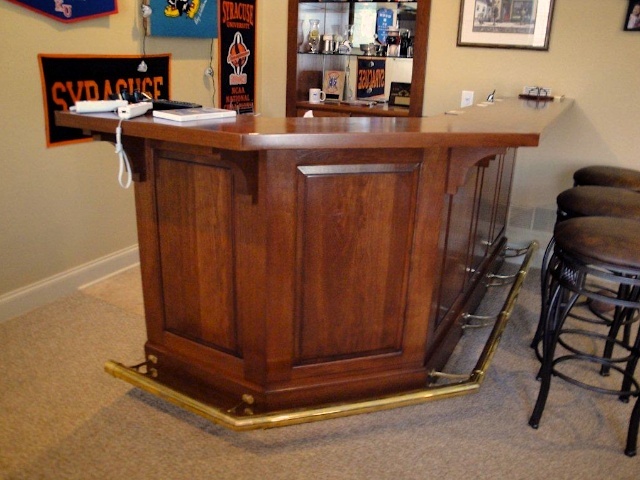 This bar features a brass footrest, black laminate work area and back-bar built into the wall. 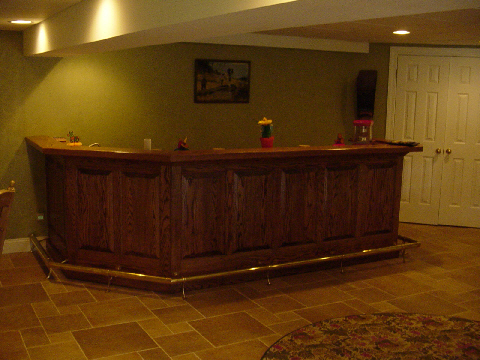 Both bar and backbar are built in color-died cherry and finished with brown glaze and a top-coat of lacquer. 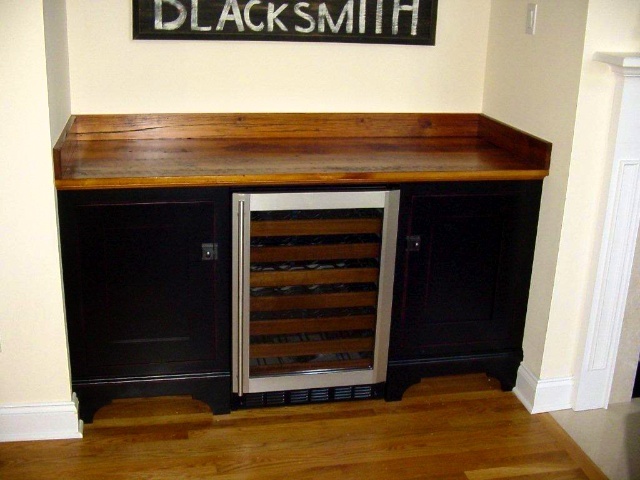 Wine locker and flanking cabinets for dry serving bar. Maple with reclaimed pine top. Finished with black top coat rubbed through to red base coat and topped with satin lacquer.